Grogan and Brown have built up a large network of like-minded passionate food producers. 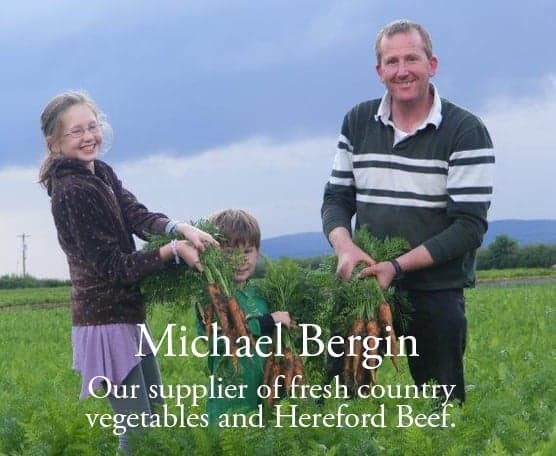 Our ethos is where possible products are supplied by local farmers and producers. All our Beef and Lamb is supplied by local farmers, we also stock the award winning Comeragh Mountain Lamb, famed for its delicate flavour. 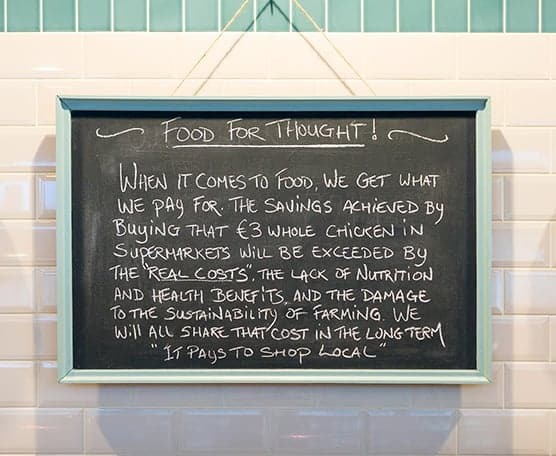 Our free range chickens come from Sean Ring in Castlecomer Co. Kilkenny, Free Range pork from Frank Aylward in Knocktopher, Eamonn Wallace organic eggs in Callan and Michael Bergin from Jenkintown supplies fresh country vegetables, Michael is also our supplier of Hereford Beef. The instore dry goods area is a vast array of artisan produce from small cottage businesses like Joan & Bob’s Juicy Jams & Chutneys from Thomastown Co. Kilkenny and many others from the surrounding countryside. Indeed we love to support such small producers and take great pride in allowing them use G&B as a platform to showcase their product, because we are invested in their future, and they are in ours. It’s important to us that we support such businesses, support the local economy , providing employment and engageing in social development.